As a young girl from southeast Texas, I knew the art of sitting on a porch swing with sweet tea. I would talk with my grandfather…or sometimes just sit, watching the birds at the feeder. I can still feel the cool breeze on my cheeks. Most of the time I just enjoyed his presence in that old swing where time seemed to stand still. No agenda. No to-do list. I would just sit. Little did I know, he enjoyed this time with me even more than I did. As I flash forward to my current self, I am surrounded by lists, tasks and a mind swimming with new projects to work on. Back then, time was once a shallow pool I could wade in, but now it was a rushing rapid and I am struggling to just hold on for dear life. So many times I have quoted, “Be still and know that I am God” without spending time to truly understand the context of this verse. Psalm 46 is one of three chapters showing appreciation to God for delivering Jerusalem from the Assyrians in battle. Psalm 46:10 is actually directed more towards the attackers of Jerusalem by saying “Cease striving against Me. You can’t win against my plans. 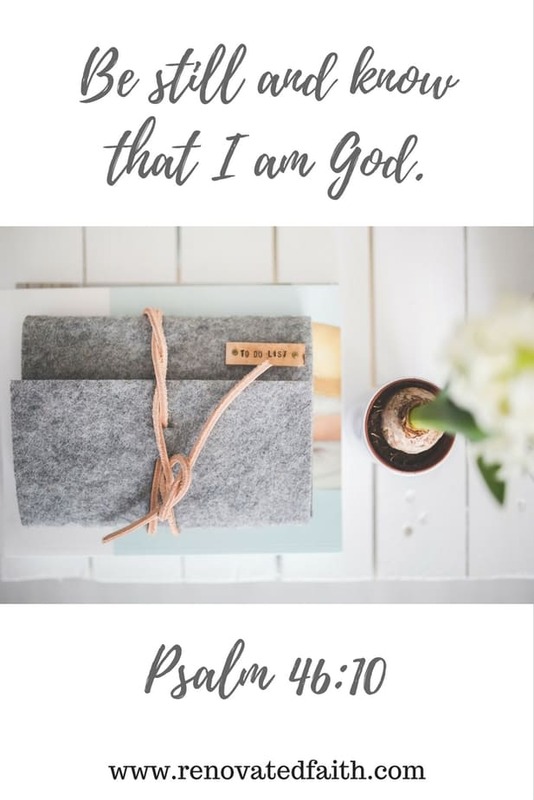 I AM God.” This verse has tremendous application for the church also. So many times I find myself in rebellion, either passively or actively, against God’s plans. I’ve seen this more-so in how I spend my time. As a strong Type-A, I have a daily to-do list with certain tasks I “must” accomplish every day (or that’s my intention, at least). At the end of each day, I try to look at what I can check off in order to better plan for the next. Often times, I noticed that my most urgent task was often saved until very last or even left undone – my time with God. Why was this? I knew my time with Him was important but my list clearly showed that I deemed other items more important, or at least more urgent. Maybe I felt like getting other tasks accomplished was more fulfilling because I could better see immediate effects. Whatever the case may be, I was striving against the time I needed to spend with God, in favor of other items on my list. Somehow I got in my hand that I was accomplishing more by taking care of other tasks on my list. 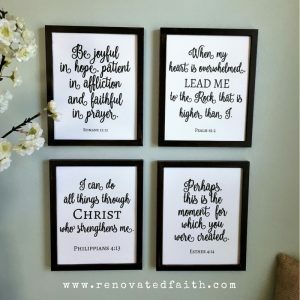 However, my preoccupation with my to-do list was preventing me from doing the one thing that I needed most – spending regular time with Him in prayer and the study of His Word. S.D. 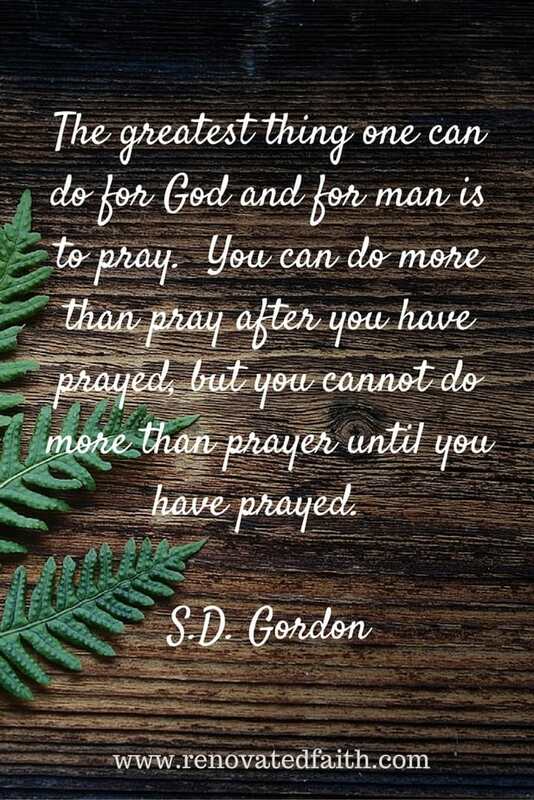 Gordan once said, “The greatest thing anyone can do for God and for man is to pray. You can do more than pray after you have prayed, but you cannot do more than prayer until you have prayed. Prayer is striking up the winning blow. Service is gathering up the results.” In other words, if you want your time to be effective, make sure you have prayed and spent time with God. If we want to be effective – truly effective in life – we will pray first. There is no other time management strategy more successful than spending regular time with God – sitting with Him in prayer and meditating on His Word. I can see a distinct difference in the days where I have not been still with Him. Those days are always more stressful and tasks just seem to take longer. On the days I do spend time with Him, I have comfort knowing He is in control of whatever the day brings. When we allow other tasks to come before time with our God, we get in our own way and strive against our own productivity. 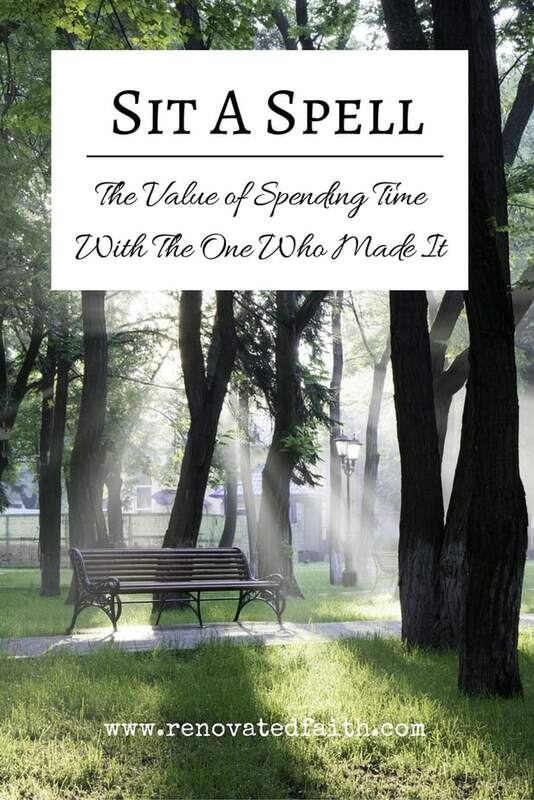 We are most productive when we are still before our Maker, spending time with Him. When I pick up my daughter Morgan from kindergarten each day, I can’t wait to see her, to hear about her day and to spend time with my girl. One afternoon in the carpool line, as my hands clinched the steering wheel in excitement to see her, it dawned at me that although God knows us intimately, He has the same excitement when we spend time with Him. As God’s Child, He loves you more than you can fathom. Like my grandfather sat with me on the porch swing, He longs to spend time with you, to hear about your day, what’s on your mind and He desires to put your heart at ease. If we want to make the most of our time, we will be still in the presence of the One who made it. Such a great reminder during this busy season – to be still with Him for refreshment. So needed this today! Thanks Chris. Yes, I’m definitely in awe of how busy this season is becoming. Thank you Karen for this reminder! I have Psalm 46:10 on the wall where I can see it from my morning time chair. I still struggle with spending quality time with my children because of all the daily tasks, but want to have good memories of hanging out with no distractions. I want them to know God longs for our focus to be on Him and spending time in His presence is so important. I can totally relate, especially during these times of ever-increasing distractions. Did you read my mind today?!?! I have been convicted about my time management and priorities this past week. After spending time in the Word this morning, I have accomplished so much more than I normally do. Thanks Joelle! So glad you had a good quiet time and got stuff done! I love this. I sit with God sometimes and more so in recent months. The issue is his majesty is so huge I cant grasp it and I get embarassed and feel strange in his presence and that I am not worthy almost, its a big concept to grasp but it gets the attention off your problems, when you think about Him. I can COMPLETELY understand how you feel. It’s like I want to shy away from Him but I try to remember that although He is utterly aware of His holiness, He still wants to spend time with me. Hard to fathom. How true is this!! The gifts of dwelling are rich — nothing can be better! 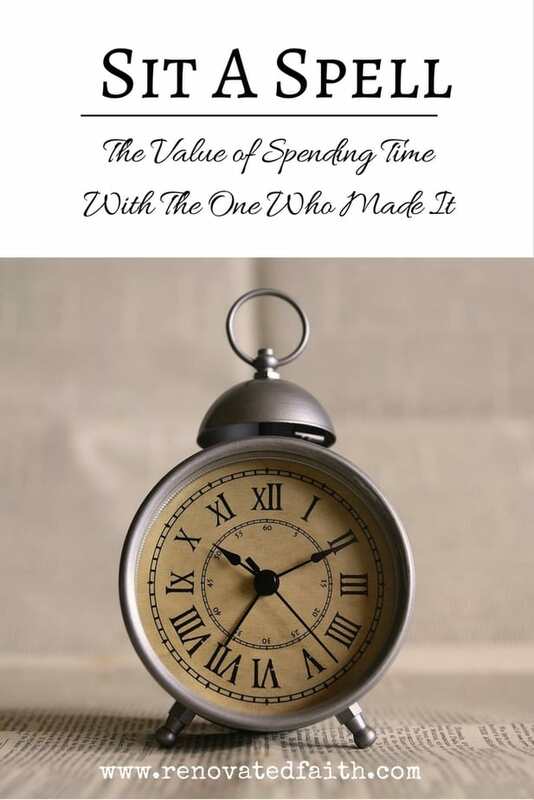 How wise are these words: There is no other time management strategy more successful than spending regular time with God – sitting with Him in prayer and meditating on His Word…and We are most productive when we are still before our Maker, spending time with Him. Being filled with God is being filled with joy and focus and heart and love and authenticity. Beautiful!